YOU ARE BEING WATCHED. When the government wields its power against its own people, every citizen becomes an enemy of the state. Will you fight the system, or be ground to dust beneath the boot of tyranny? In his smash-hit anthologies Wastelands and The Living Dead, acclaimed editor John Joseph Adams showed you what happens when society is utterly wiped away. Now he brings you a glimpse into an equally terrifying future—what happens when civilization invades and dictates every aspect of your life? From 1984 to The Handmaid’s Tale, from Children of Men to Bioshock, the dystopian imagination has been a vital and gripping cautionary force. 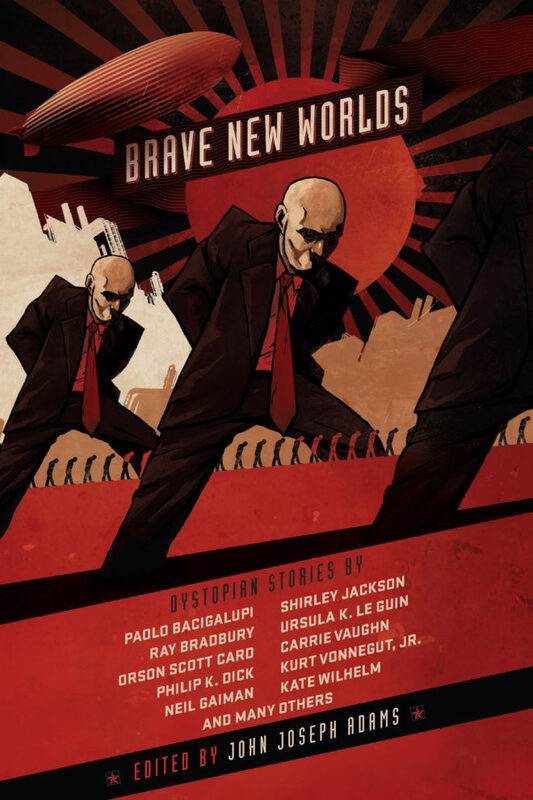 Brave New Worlds collects 33 of the best tales of totalitarian menace by some of today’s most visionary writers. POWER. We all want it, they’ve got it—witches, warlocks, sorcerers, necromancers, those who peer beneath the veil of mundane reality and put their hands on the levers that move the universe. They see the future in a sheet of glass, summon fantastic beasts, and transform lead into gold…or you into a frog. From Gandalf to Harry Potter, wizardry has never been more exciting and popular. 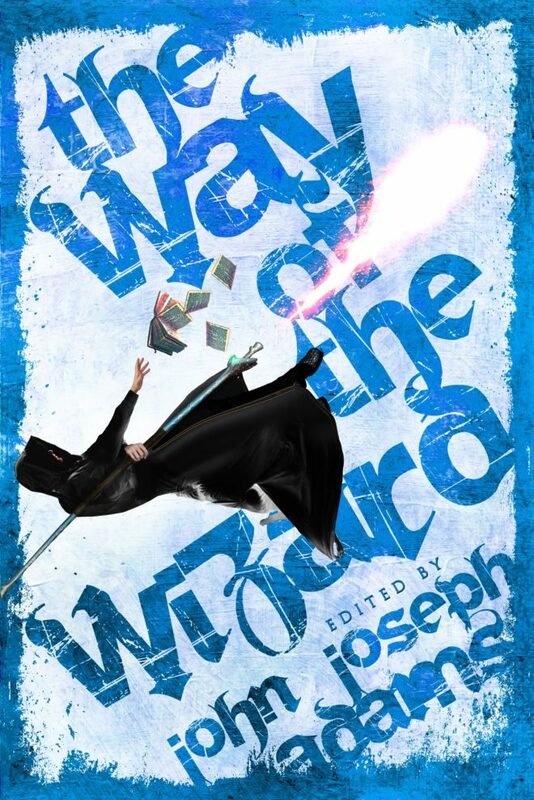 Now acclaimed editor John Joseph Adams brings you thirty-two of the most spellbinding tales ever written, by some of today’s most magical talents, including Neil Gaiman, Ursula K. Le Guin, George R.R. Martin, Robert Silverberg, Kelly Link, Nnedi Okorafor, and many more. Enter a world where anything is possible, where imagination becomes reality. Experience the thrill of power, the way of the wizard. 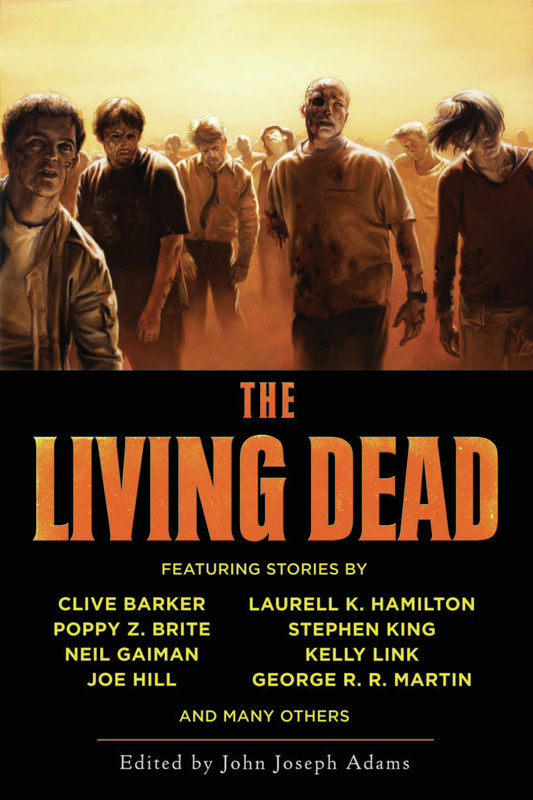 First, readers eagerly devoured The Living Dead. Now acclaimed editor John Joseph Adams is back for another bite at the apple—the Adam’s apple, that is—with 43 more of the best, most chilling, most thrilling zombie stories anywhere, including virtuoso performances by zombie fiction legends Max Brooks, Robert Kirkman, and David Wellington. From Left 4 Dead to Zombieland to Pride and Prejudice and Zombies, ghoulishness has never been more exciting and relevant. Within these pages samurai warriors face off against the legions of hell, necrotic dinosaurs haunt a mysterious lost world, and eerily clever zombies organize their mindless brethren into a terrifying army. 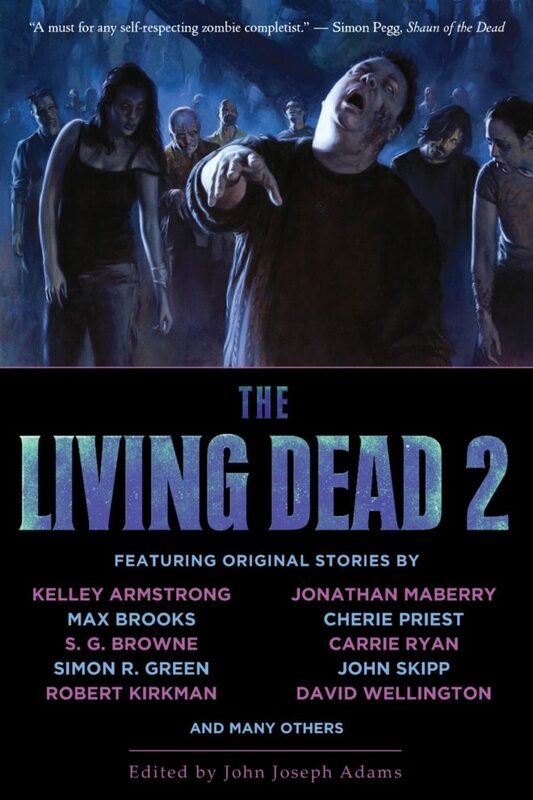 The Living Dead 2 has more of what zombie fans hunger for—more scares, more action, more… brains. 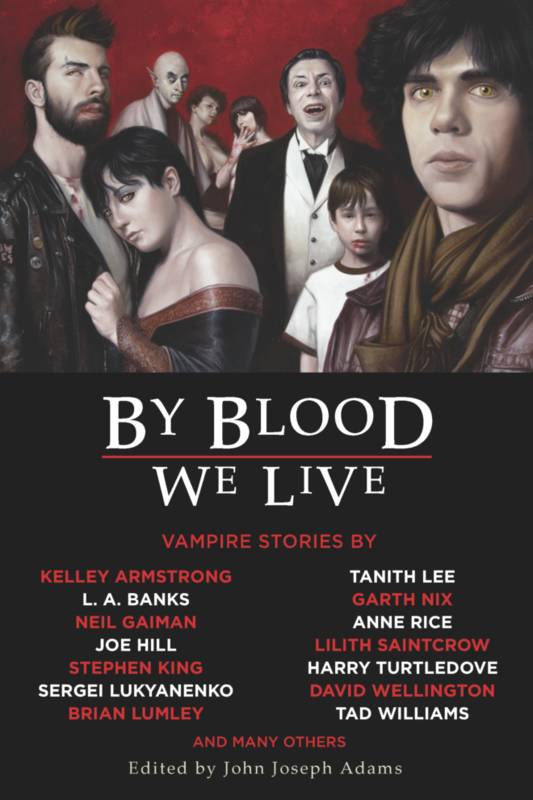 Experience the indispensable series that defines the very best in zombie literature. Sherlock Holmes is back! Sherlock Holmes, the world’s first—and most famous—consulting detective, came to the world’s attention more than 120 years ago through Sir Arthur Conan Doyle’s novels and stories. 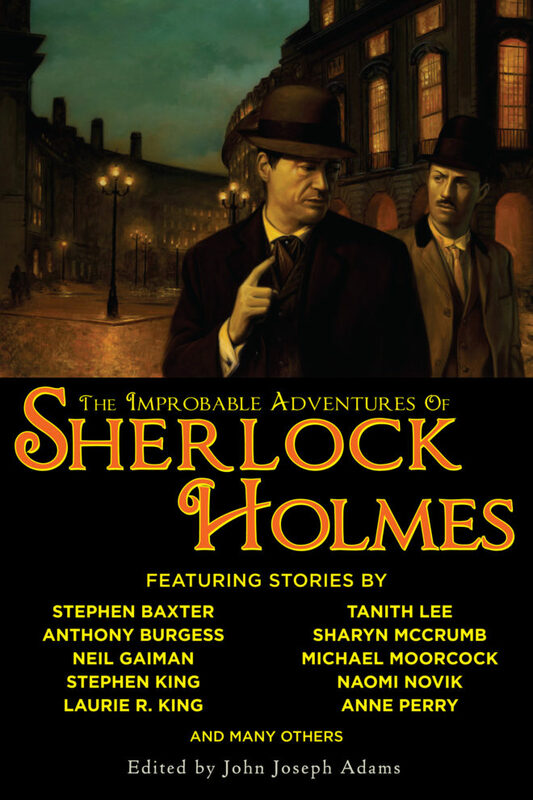 But these are the improbable adventures of Sherlock Holmes, where nothing is impossible, and nothing can be ruled out. In these cases, Holmes investigates ghosts, curses, aliens, dinosaurs, shapeshifters, and evil gods. But is it the supernatural, or is there a perfectly rational explanation? You won’t be sure, and neither will Holmes and Watson as they match wits with pirates, assassins, con artists, and criminal masterminds of all stripes, including some familiar foes, such as their old nemesis, Professor Moriarty. Whether it’s mystery, fantasy, horror, or science fiction, no puzzle is too challenging for the Great Detective. The game is afoot! From Star Trek to Star Wars, and from Dune to Foundation, science fiction has a rich history of exploring the idea of vast interstellar societies, and the challenges facing those living in or trying to manage such societies. 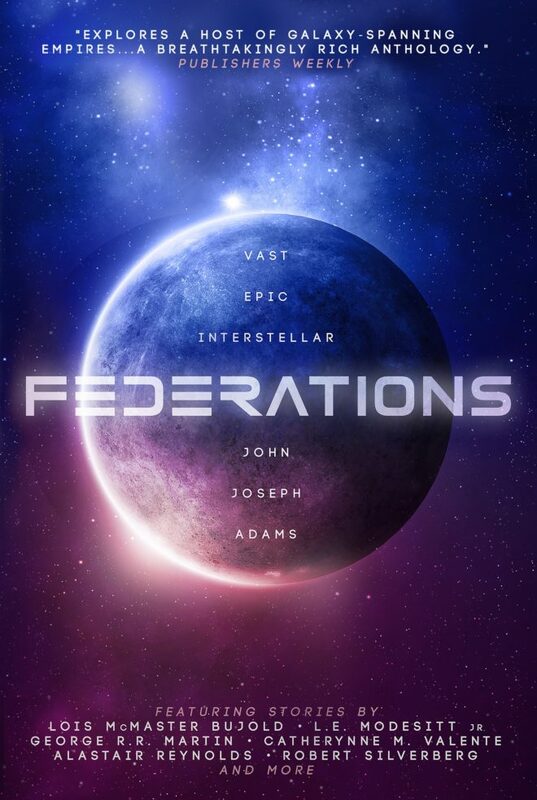 The stories in Federations continue that tradition, and herein you would find a mix of all-new, original fiction, alongside selected reprints from authors whose work exemplifies what interstellar SF is capable of, including Lois McMaster Bujold, Orson Scott Card, Anne McCaffrey, George R. R. Martin, L. E. Modesitt, Jr., Alastair Reynolds, Robert J. Sawyer, Robert Silverberg, Harry Turtledove, and many more. From White Zombie to Dawn of the Dead, from Resident Evil to World War Z, zombies have invaded popular culture, becoming the monsters that best express the fears and anxieties of the modern west. The ultimate consumers, zombies rise from the dead and feed upon the living, their teeming masses ever hungry, ever seeking to devour or convert, like mindless, faceless eating machines. Zombies have been depicted as mind-controlled minions, the shambling infected, the disintegrating dead, the ultimate lumpenproletariat, but in all cases, they reflect us, mere mortals afraid of death in a society on the verge of collapse. Gathering together the best zombie literature of the last three decades from many of today’s most renowned authors of fantasy, speculative fiction, and horror, including Stephen King, Harlan Ellison®, Robert Silverberg, George R. R. Martin, Clive Barker, Poppy Z. Brite, Neil Gaiman, Joe Hill, Laurell K. Hamilton, and Joe R. Lansdale, The Living Dead, covers the broad spectrum of zombie fiction, ranging from Romero-style zombies to reanimated corpses to voodoo zombies and beyond. 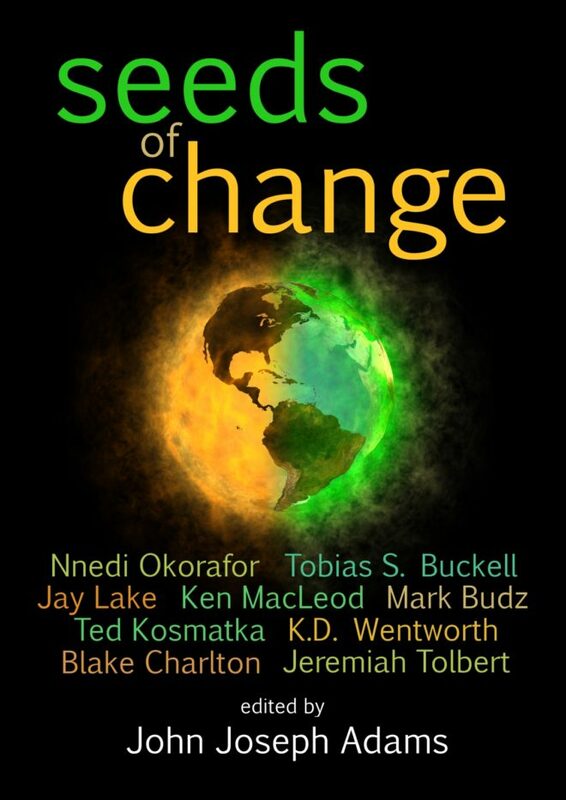 These nine stories sow seeds of change across familiar and foreign territory, from our own backyards to the Niger Delta to worlds not yet discovered. All explore the notion that change will come. Will you be ready? Famine, Death, War, and Pestilence: The Four Horsemen of the Apocalypse, the harbingers of Armageddon—these are our guides through the Wastelands… From the Book of Revelation to The Road Warrior; from A Canticle for Leibowitz to The Road, storytellers have long imagined the end of the world, weaving eschatological tales of catastrophe, chaos, and calamity. In doing so, these visionary authors have addressed one of the most challenging and enduring themes of imaginative fiction: the nature of life in the aftermath of total societal collapse. Gathering together the best post-apocalyptic literature of the last two decades from many of today’s most renowned authors of speculative fiction—including George R.R. 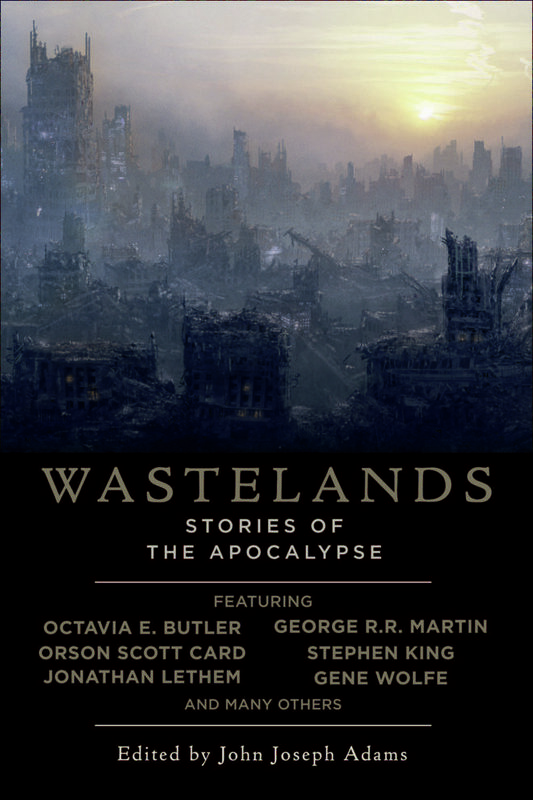 Martin, Gene Wolfe, Orson Scott Card, Carol Emshwiller, Jonathan Lethem, Octavia E. Butler, and Stephen King—Wastelands explores the scientific, psychological, and philosophical questions of what it means to remain human in the wake of Armageddon.